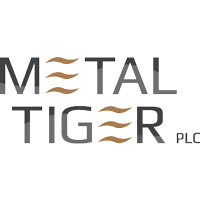 Metal Tiger plc (LON:MTR), the London Stock Exchange AIM listed investor in strategic natural resource opportunities, notes the announcement made by MOD Resources Ltd (“MOD”) today, the full text of which is set out below and the full announcement (including footnotes) can be seen via the following link: https://www.asx.com.au/asxpdf/20190121/pdf/441zz9rk2mflcn.pdf. MOD Resources Limited (LON: MOD) is pleased to announce that it has received firm commitments to raise $10 million through an institutional share Placement with an additional $5 million fully underwritten Rights Issue to be offered to existing shareholders. The majority of funds are intended for working capital to advance the T3 Copper Project towards production and defining additional resources within the surrounding T3 Expansion Project area. To ensure that all shareholders can participate in the capital raising, the Placement will be followed by a non-renounceable rights issue to raise approximately $5 million (approximately 21.7 million shares) from eligible shareholders (“Rights Issue”), offering 1 new share per 13 shares held. The Rights Issue is fully underwritten by Ashanti Capital. The Rights Issue will be priced at $0.24 per share, a price that closely reflects the Company’s last closing share price on ASX. Further details relating to the Rights Issue timetable will be released to the market shortly. Conduct follow-up drilling of initial, shallow copper and silver intersections at the T4 – T23 Dome. The Company’s Board of Directors (“the Board”) and Metal Tiger Plc have committed to take up their entitlements in the Rights Issue. On 16 January 2019, the Company received an unsolicited, non-binding, indicative and conditional proposal (“Indicative Proposal”) from Sandfire to acquire 100% of shares in MOD. MOD has not received any offer capable of acceptance by the Company’s shareholders and no certainty that the Indicative Proposal will result in a transaction. The Company will continue to update the market with any material developments in relation to the Indicative Proposal.